Cheap Computer Monitors online from SCC Trade. Want to replace your old monitor? It’s easy at SCC Trade. When it comes to high resolution monitors, we are proud to stock one of the largest selections on the web and update our collection regularly to bring you the industry’s most coveted brands including Dell, HP, Samsung and ViewSonic. SCC Trade provides customers with cheap computer monitors that promote user comfort and innovative design. At SCC Trade, we can help you to get the most out of your PC. If you have an old monitor, you could be missing out on the latest features and benefits such as energy efficient PC monitors. We are dedicated to providing customers with high quality PC monitors at low prices. Replacing your old PC monitors needn’t be expensive. Shop online at SCC Trade and take advantage of our huge savings. 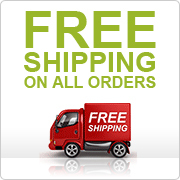 We not only offer our customers savings on cheap computer monitors and accessories but treat to you to free delivery in just five working days. If you have any questions about our PC monitors, a member of our team is on hand to answer them. Get in touch with us today on 0845 351 1202. Grade C unit: This unit is sold for use as spares only. The product will have been tested and found..